We spent a great deal of time researching heat pumps before we chose to fit the NIBE range of heat pumps. Designed for the UK market the NIBE heat pump range delivers a better performance at lower outdoor temperatures and higher running temperatures. The result is lower fuel bills and all the hot water you need. The NIBE ground source heat pump reduces your energy consumption by up to 80% and the air source pump by up to 50%. Their NIBE air source heat pump operates at temperatures down to -20c. Reliable, efficient with a life span of up to 20 years they are the best heat pumps in our experience available on the market place. Why fit a heat pump in your home? Did you know that only two metres below the surface, the ground temperature remains a steady 10-12˚C throughout the year? By installing a ground source heat pump, you could utilise this natural heat energy to provide a reliable and renewable heating and hot water system for your home..
With 18 models to choose from we can advise you on the right heat pump for your home. The NIBE air source heat pumps can operate at ambient temperatures as low as -20°C, ensuring a comfortable indoor climate all year round. By installing an air source heat pump, you could utilise this natural heat energy to provide a reliable and renewable heating and hot water system for your home. With 5 models to choose from we can advise you on the best heat pump for your home. 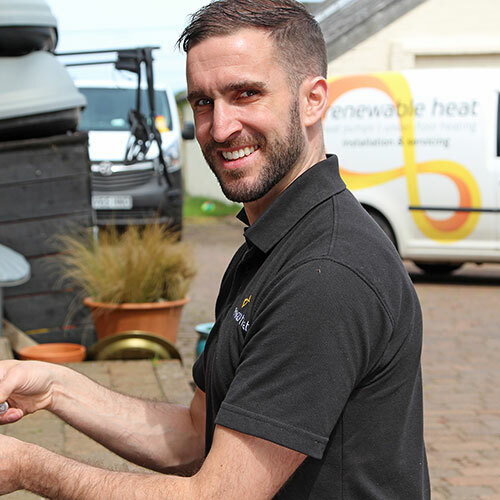 As an added service, during the 1st year Renewable Heat will monitor your heat pump remotely to ensure the maximum efficiency and in the unlikely event of you having any issues, your heat pump will alert us immediately. We can then make adjustments either remotely or if required carryout a service call.